When customers are looking for advice on skincare, you really need to know your stuff. 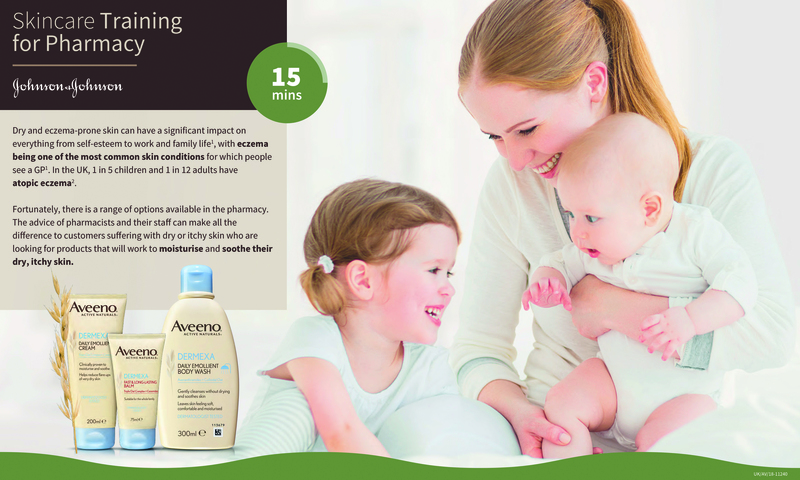 To help you when it comes to sensitive skin conditions, Johnson & Johnson’s Aveeno has produced an e-learning skincare module which you can access at the Beauty Magazine website. It explains the role of the much talked about skin ‘microbiome’, how skin can become dry, the role of rebalancing the skin and the importance of emollient therapy. It’ll only take 15 minutes to complete but, believe us, it will prove invaluable to you in your role as a beauty advisor.